It is 1945, and courageous ten-year-old Sookan and her family must endure the cruelties of the Japanese military occupying Korea. Police captain Narita does his best to destroy everything of value to the family, but he cannot break their spirit. Sookan's father is with the resistance movement in Manchuria and her older brothers have been sent away to labor camps. 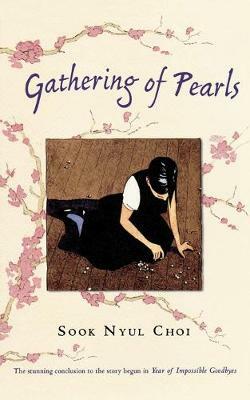 Her mother is forced to supervise a sock factory and Sookan herself must wear a uniform and attend a Japanese school. Then the war ends. Out come the colorful Korean silks and bags of white rice. But Communist Russian troops have taken control of North Korea and once again the family is suppressed. Sookan and her family know their only hope for freedom lies in a dangerous escape to Americancontrolled South Korea. Here is the incredible story of one family's love for each other and their determination to risk everything to find freedom. Buy Year of Impossible Goodbyes by Sook Nyul Choi from Australia's Online Independent Bookstore, Boomerang Books. Sook Nyul Choi was born in Pyongyang, North Korea. As a young refugee during the Korean War, Choi learned to face injustice and cruelty with courage and determination. Choi's novels, which are based upon her own experiences, have enriched the lives of young people all over the world.Choi emigrated to the Unites States to pursue her college education. She graduated from Manhattanville College in 1962. Except for a brief period during which she worked in the business world, she taught in public and parochial schools in New York and Massachusetts for 20 years while raising her two daughters. Sook Nyul Choi is the author of Year of Impossible Goodbyes, a novel about 10-year-old Sookan and her life in Korea during the aftermath of World War II. It has been translated into Korean, French, Italian, and Japanese. 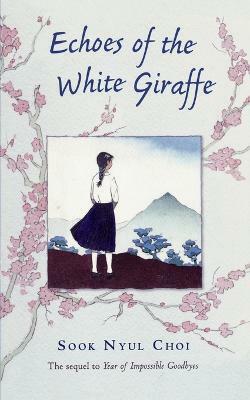 It is an ALA Notable Book and has received many other honors as well.Choi also wrote Echoes of the White Giraffe, a sequel to Year of Impossible Goodbyes. Sookan, again the main character, is now 15 and a refugee growing up amidst the sorrows of the Korean War. Her story brings to life the time, place, and intense emotions of a people surrounded by turmoil and tragedy.